This is my third recipe for granola. It is so easy to make that I just can't bring myself to buy the stuff in the store ever again. I had my hand on a box the other day because the front of the packaging looked so enticing. I shook my head and told myself to go home and make a fresh batch. I am so glad that I tried to make Pumpkin Spice Granola. I wasn't sure if I had gotten the spice combination correct. Once it is made, it's made. I am happy to report that it turned out with a strong flavor of pumpkin pie and had the same crunch that my other two granola's have. I added pumpkin puree to the wet ingredients and I did not know if this would change the makeup of the maple syrup blend. I was pleasantly surprised. It added a depth to the pumpkin flavor and did not affect the texture. I eat this as cereal with milk or served over a bowl of honey greek yogurt. In fact, as I am typing this I am dabbing the corner's of my lips with a white napkin….oh it's a keeper! I was so glad to find clusters in this batch of granola. They are packed full of pumpkin flavor and have a crunchy texture. I am a strange eater sometimes. This is one example. When I open a bag of potato chips I eat all of the folded, doubled over chips first. In my opinion, these are just simply the best. They are crispy and when you bite into the many layers, my mouth and mind work together and send the signal that this is how every chip should be. It drives my family crazy. The granola does not have edges that are folded but the clusters do the same thing to my brain. With every bite it sends a signal of perfection. As I bite through each cluster, it falls apart and is very crunchy. Yes, I did go through the bowl and pick out a few clusters. I figure to get more of the clusters in your granola, when mixing the granola, use your hands and squish handfuls together and gently dump on cookie tray. Try not to over stir the first two times you move the granola around. 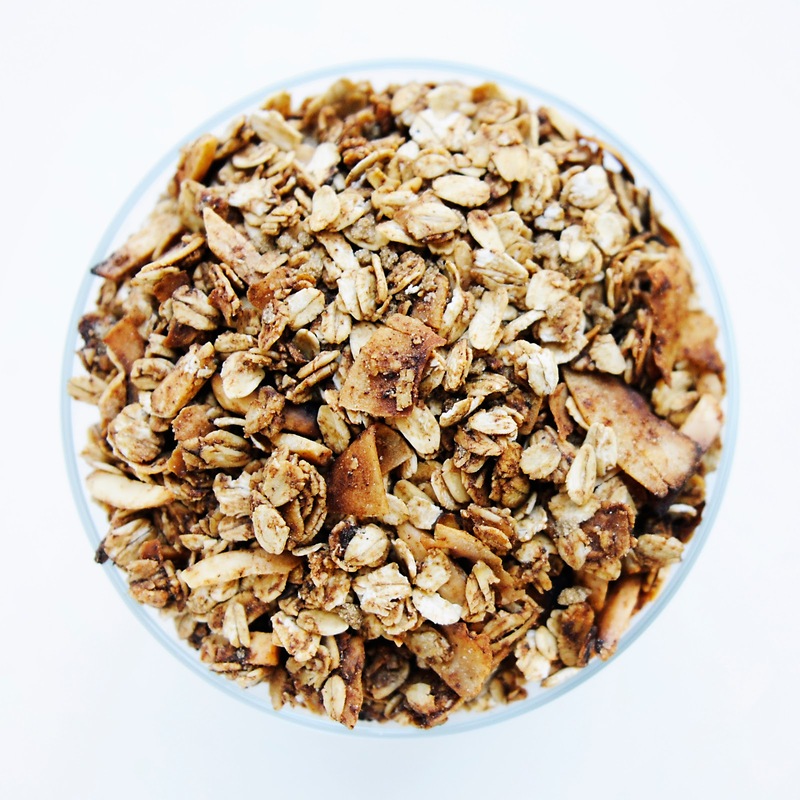 You could also reduce the amount of oatmeal by one cup to allow for more of the wet ingredient to "cluster" the granola. Tell me what food habits you have that drive your family crazy in the comments below. NOTE: With granola you can add a variety of seeds or nuts to the process. I add any dried fruit after it is prepared. In a large bowl combine oatmeal, nuts and coconut. If you are adding seeds add them know too. In a medium size saucepan, add syrup, oil, vanilla and salt. Bring to a boil. Boil for 3 minutes. Remove from heat and stir in pumpkin puree. Immediately pour over oatmeal mixture. Toss. 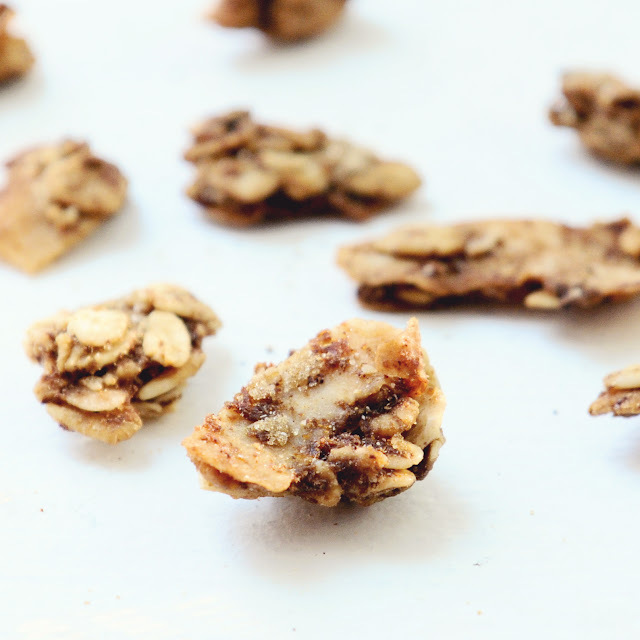 Pour granola onto a cookie sheet with rimmed sides. 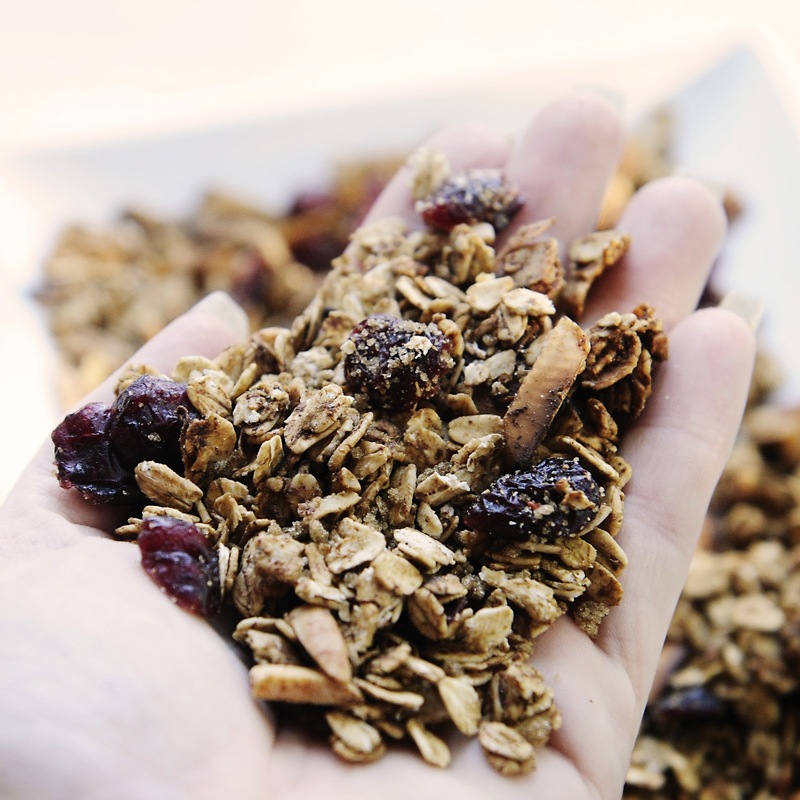 Every 15 minutes, gently toss granola. After about 45 you should start to smell the granola and see a change in color. It will start to darken. I let my granola bake for 1hour, stirring it every 15 minutes. Remove from oven. I sprinkled some brown sugar over this batch while still hot and gently mixed. 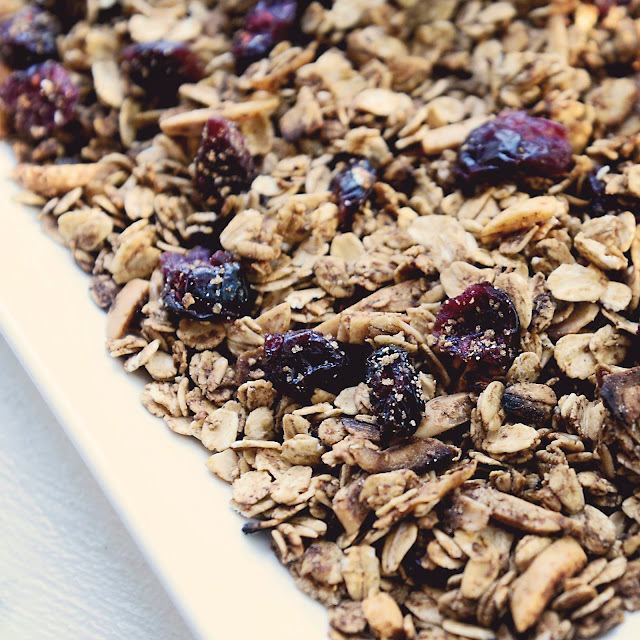 This is optional but does add a nice look and additional sweetness to the granola. Cool and store in tightly sealed container. This can be stored for up to one month. After that quality of flavors may start to break down. I made my own. It turned out great and taste just like pumpkin pie to me. Combine together and use accordingly. I still haven't made granola...I've wanted to, but not gotten around to it. Love pumpkin, especially at this time of the year, so I bet I would love this one! Just found out that olive oil heated over 180f actually becomes a toxin and may be blamed for weight issues! So, I will b trying this with coconut oil, wish me luck! Yum! I always wondered about incorporating fruit purees into granola.